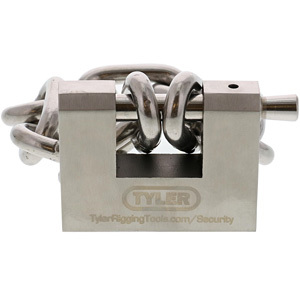 The Tyler Tool High Security Stainless Steel Shutter Lock is a perfect fit for those looking for a higher level of security than a standard padlock can provide. 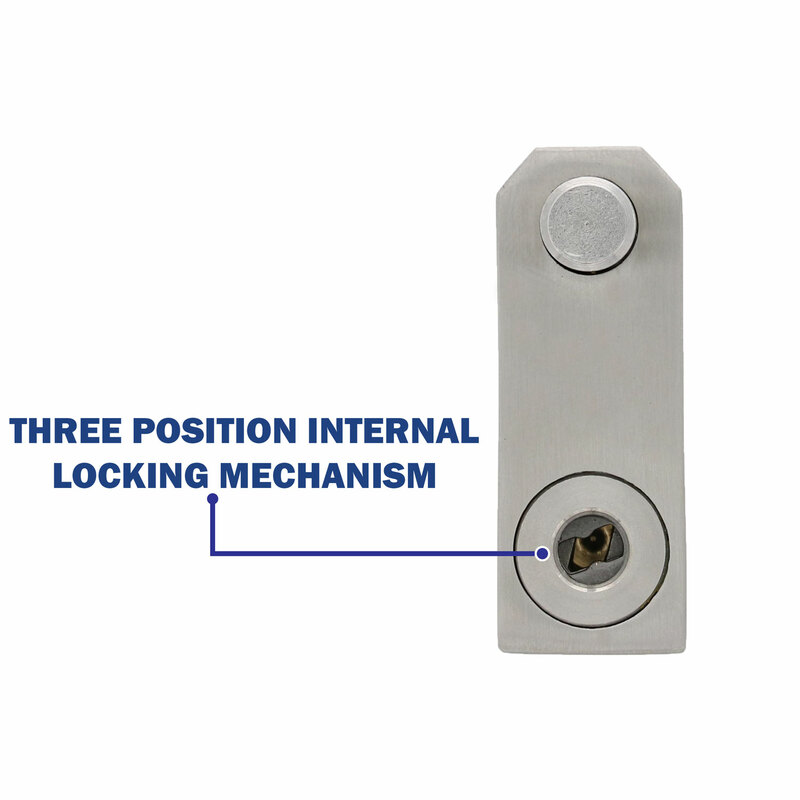 Our lock is made from Type 304 Hardened stainless steel that significantly slows down attempts to cut the lock a with torches, abrasive and reciprocating saws. The stainless steel construction will also allow for a long service life even in the harshest outdoor conditions. 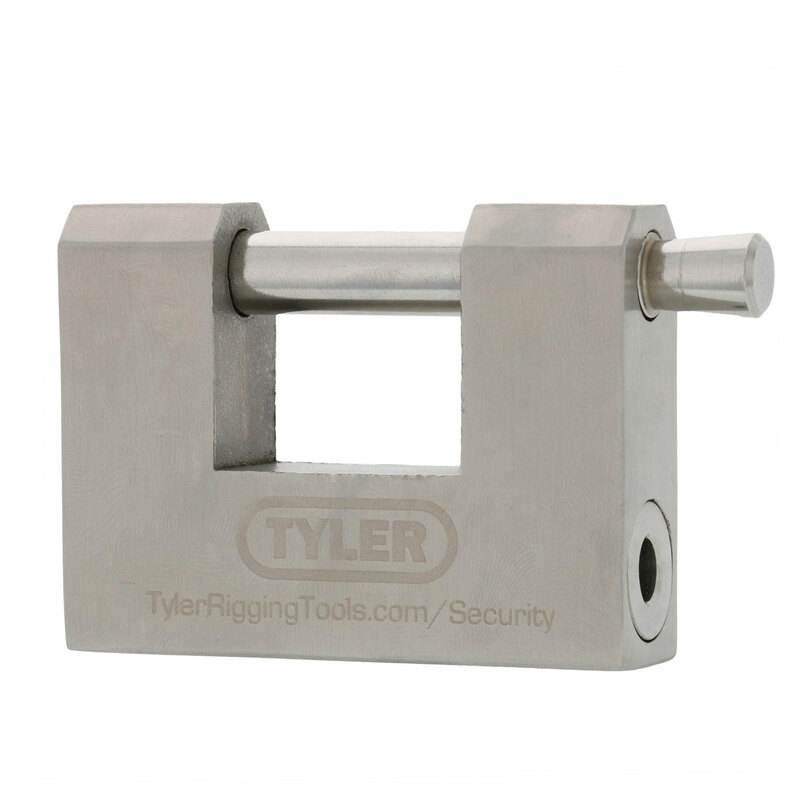 The shutter lock design utilizes a bolt that spins to make it difficult to further guard against cutting tools. 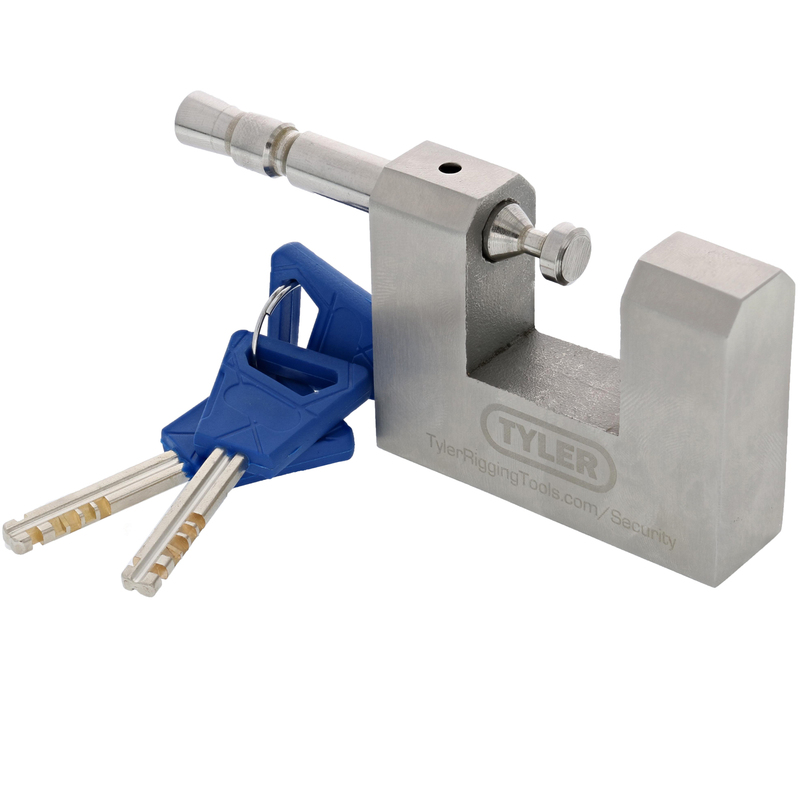 The Anti-Pick Disc Tumbler System and 3 precision cut keys is one of the most difficult systems to pick and require specialized tools much more rare and expensive than a typical lock pick set. 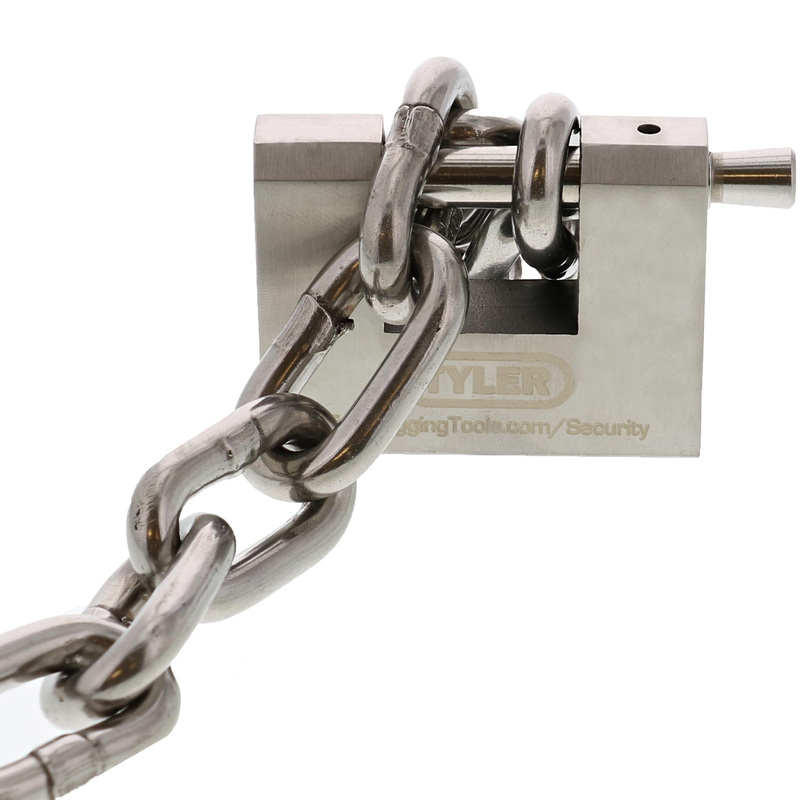 After the criminals fail to pick the lock, they may try to drill the lock, but it is protected by an anti-drill spinner plate blocking the key-way. 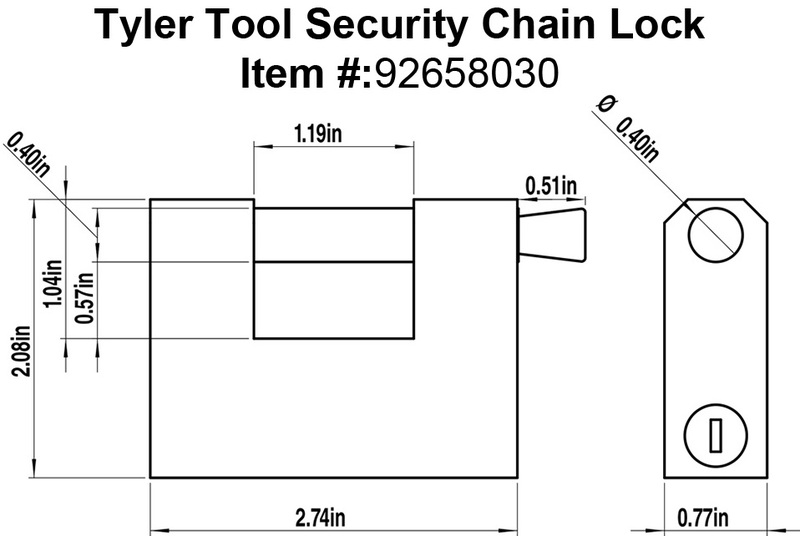 The large jaw opening allows for many chain configurations, but is still tight enough to deter cutting. 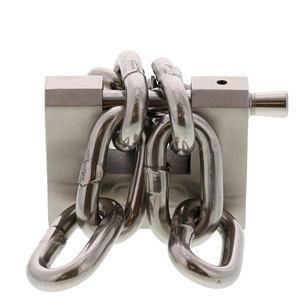 This style of lock can also be referred to as a block padlock, straight shackle padlock, warehouse padlock, or close shackle lock. 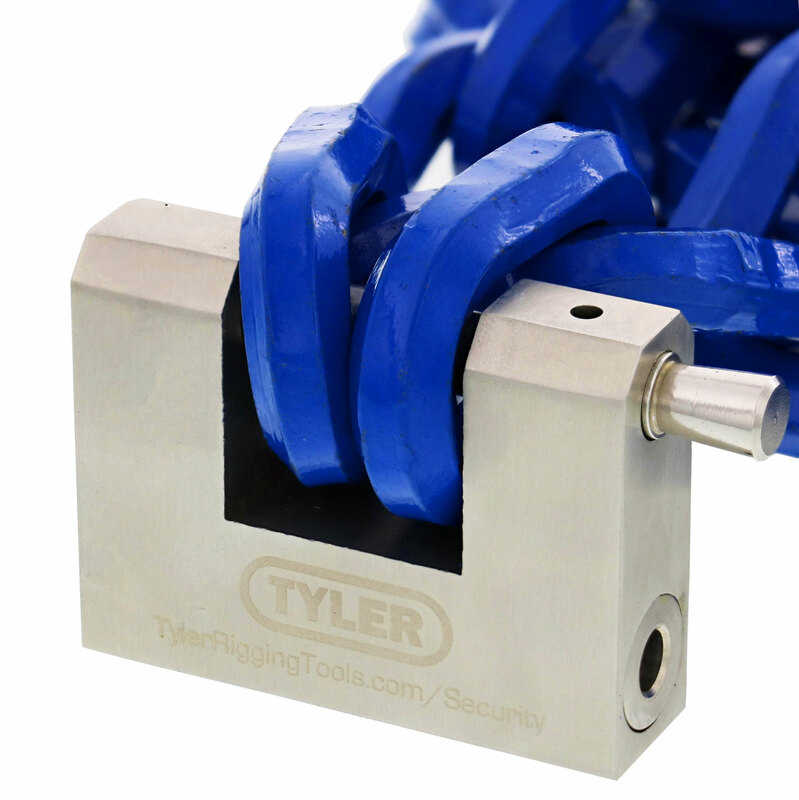 Use this handy guide to detemine what chains fit on the Tyler Tool Shutter Lock in various configurations. 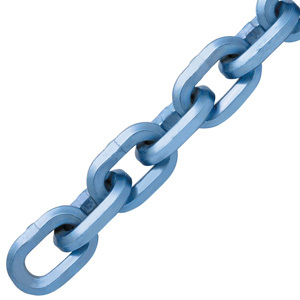 Does Chain Fit on Lock? Difficult to cut due to hardened stainless steel body and bolt. 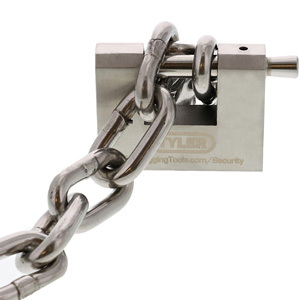 Bolt has spinningshutter lock design to guard against cutting tools. Anti-Pick Disc Tumbler System is one of the most difficult systems to defeat. 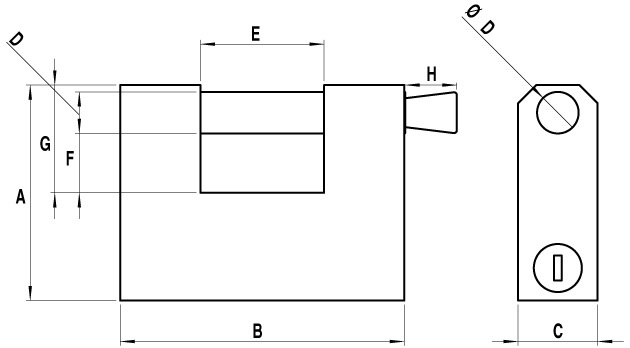 Anti-Drill Spinner Plate blocks key-way. 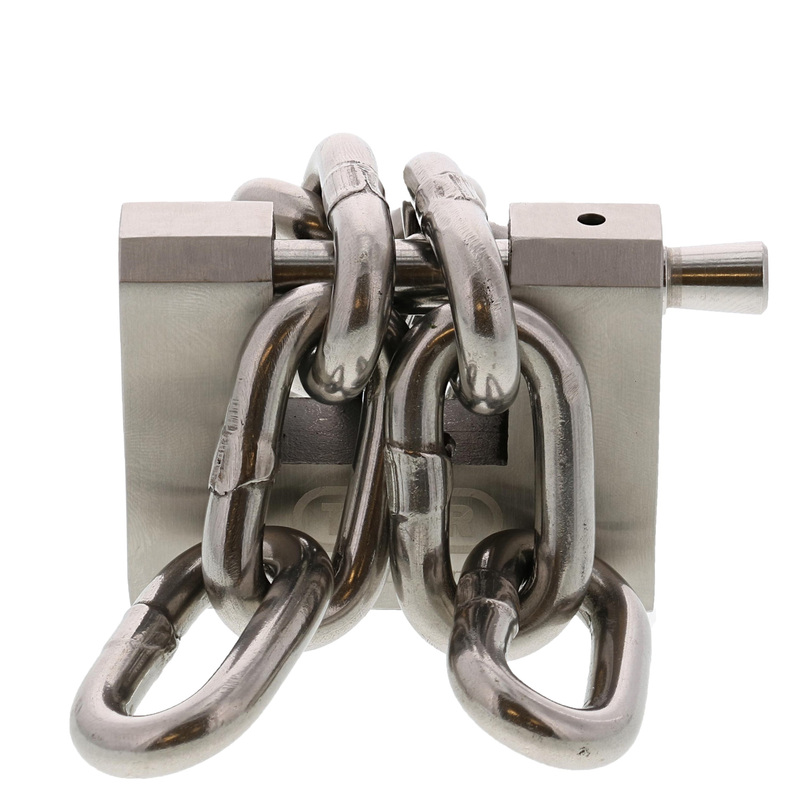 Corrosion resistant stainless steel stands up to the harshest outdoor environments. 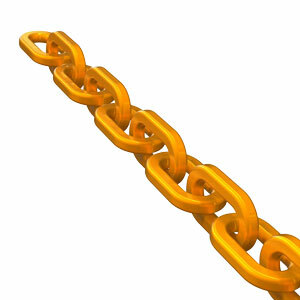 Large jaw area allows for many chain configurations, while still guarding against cutting.